There is always something you can celebrate, even if you don’t feel like celebrating. Seek it. Be on the lookout for something to celebrate all day long. When you are looking for a celebration it is difficult to stay depressed or angry or sad. Of course, you can CHOOSE to say to yourself or to others, ‘My life is so bad that there is nothing to celebrate.’ Or you can choose to say or think, ‘I wish she would stop being so cheerful. HER life might have something to celebrate but mine doesn’t.’ And then you can list all the reasons why there is nothing to celebrate. Well, let me clue you in. No one’s life is so perfect that they are not dealing with some issue in their life. It might be minor at the moment but it was and will be huge at some point. Everyone loses someone they love at some point in life – a grandparent, a pet, a friend. Some choose to focus on the loss while others choose to concentrate on a celebration of the life that was shared, for a long time or a short time but always a valuable time. Which kind of person are you? What do you choose to focus on when you experience a loss? Can you find something to celebrate? I’ve been to funerals that were all about the loss and I’ve been to funerals that were huge celebrations of the person who has died. The second kind is more healing for those who attend. This is not to deny the grief that arises when we lose someone we love. That grief is real and should be honored in whatever way is healing for the individual. BUT, and this is a big but, you are always at choice about where you focus your attention, your thoughts, your energy. Do you celebrate when things are going well for you or do you keep looking for the thing that is not going well and focus on that? Do you have some ‘magical thinking’ about the if/only’s in your life? What are you waiting for that when X happens you will be happy? Start celebrating something, anything in your life today and watch what happens. Start setting your radar detector to seek that which you can celebrate and notice what starts showing up on your radar screen. The energy that you use for the search attracts that which you are searching for. Search for things to celebrate and you’ll find things to celebrate. So how are you going to spend today? Choosing to focus on what’s not working or choosing to focus on what you can celebrate? Surround yourself with the energy of celebration today and watch how many things you can celebrate tomorrow! ROSEMARY’S INSPIRATION: Find something to celebrate! 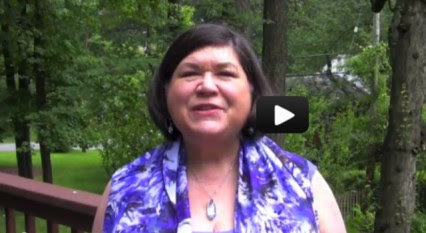 My “two minute” video: Find something to celebrate! ROSEMARY’S INSPIRATION: Where Do You Get Your Information? 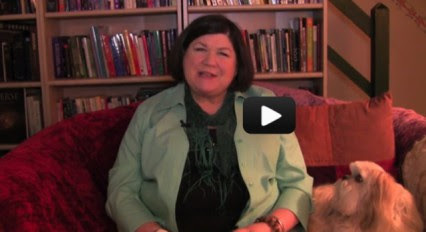 My “two minute” video: Where Do You Get Your Information? The consciousness of humankind is dependent upon the evolutionary progress of the majority of the humans on Earth at any given time. Highly evolved individuals can lift the consciousness of many others but the others must choose to be lifted up. Those who choose not to evolve can often influence many others by weighing down the thinking of the group in which they find themselves. Each individual has a responsibility for the consciousness level of every group in which they participate. Social, work, family, spiritual, religious. It is not possible to participate in a group without affecting or being affected by the consciousness level of that group. For example, one cannot sit idly by while someone in a group speaks disparagingly about others without being dragged down to the dense vibration of that thought. Similarly, one cannot help but be lifted up when someone of higher consciousness speaks in or to a group. If you are the one speaking, you can lift up a group or you can bring it down with your words and the thoughts you convey. If you think that you can be a silent bystander in a group, then you are mistaken. If you sit quietly in a group that spouts thoughts of hatred you have 2 choices – you can speak up against that hatred and risk all that goes with speaking out or you can leave the group. Sitting silently implies agreement and brings you to the level of consciousness associated with hatred. You are always at choice. Do you think that you can be associated with a group and not participate in the ideas that group espouses? You have just given away your power. Pay attention to the ideas expressed within any group you choose to join. Pay attention to the ideas expressed within your family. Make your position known and invite others to be uplifted. Avoid discussions of hatred and negative speaking about others. Refuse to be engaged in arguments of topics that are low vibration. Your mother said, “Tell me who you go with and I’ll tell you what you are.” This is true. With whom do you choose to spend your time? If they do not represent who you are becoming then it may be time to step away. Take charge of your vibrations. Keep lifting yourself up to higher consciousness. Refuse to allow others to drag you down. PS: We are approaching the New Moon in Cancer Wednesday, July 15 at 9:29 pm Eastern time. We’ll be publishing a new MoonLetter to celebrate. If you would like to receive these messages, posted later in this blog, the day they are published in my newsletter you can subscribe here: Subscription Link. When you do you will also receive a soothing 7-minute meditation to help you through these stressful times.